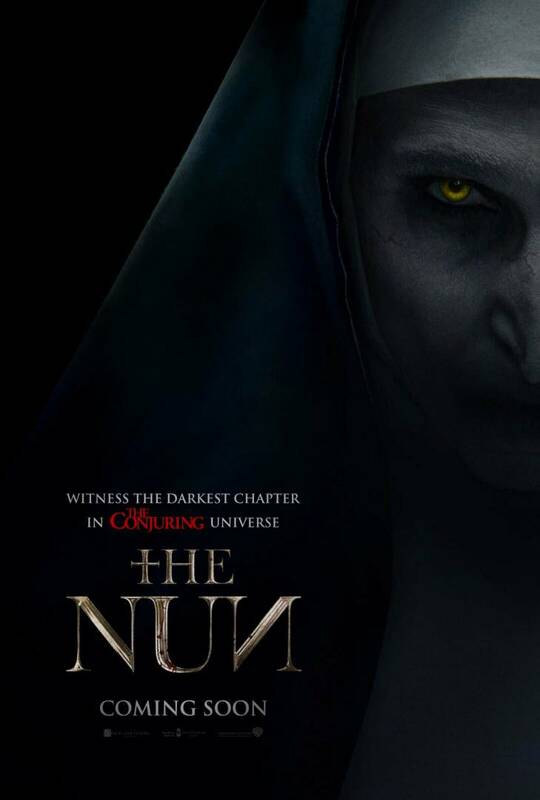 Next month The Conjuring universe will expand with yet another terrifying spin-off, The Nun. After a direct sequel, The Conjuring 2, and a dreadful spinoff, Annabelle, and a much better spinoff sequel, Annabelle: Creation, the horror will continue by following the origins of the main antagonist (Valak, the creepy demon nun) in The Conjuring 2. Tagged as “the darkest chapter in the Conjuring universe”, the fifth entry takes place in 1950s Romania where Father Burke and Sister Irene (played by Taissa Farmiga, the younger sister of Vera Farmiga) are tasked with investigating a suicide at a creepy convent. A recent YouTube ad or trailer for the film was recently banned from the platform after many users complained that it was “too scary”. If you’re still brave enough to see The Nun, Empire Entertainment has partnered with Fortress of Solitude for an early screening of the film. Here is your chance to grab yourself two tickets to the event. The Nun hits theatres on September 7th. The film also stars Demian Bichir, Jonas Bloquet, Charlotte Hope, and Bonnie Aarons. To stand a chance of winning (double tickets), all you need to do is tell us the name of the film’s villainous nun (in the comments section below). Please use a working email address. Competition closes Tuesday, 4th September 2018. Winners will be contacted via email on this date. ©2018 Warner Bros. All Rights Reserved. The Nun is being released by Empire Entertainment in South African cinemas. The Nun’s name is Valak.